The Piazza Maggiore is the square where people meet. It’s the heart of Bologna and from there you can see two of the famous palaces, the Palazzo de Podestá and the Palazzo dei Banchi. The first one is only opened to public when there are temporary exhibitions, while the second one is not opened to public, so you can only admire the facades. Another square you have to see is Piazza del Nettuno, where the so-called Fountain of Nettuno is located, which is very well known in Italy becuase of the studies in the art field at school. Don’t miss the Giardini Margherita, where people go jogging, meet friends or relax on a bech, enjoying the sunny weather. 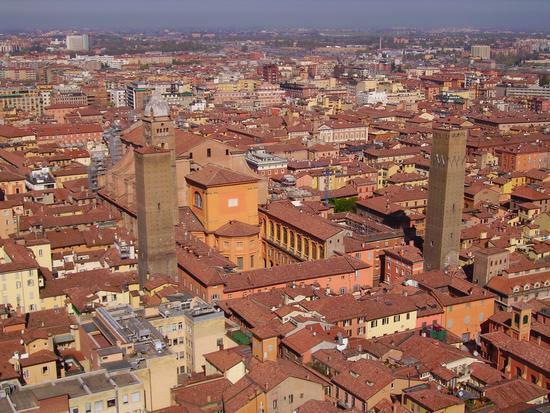 Of course, there are several churches in Bologna, but they are not so well known as the one in Florence, Rome or Milan, because this city is the oldest university city in the country. So, just go around and admire all the oldest university buildings across the centre, imagine to live back in time, during the 19th century. Wonderful, definitely.